This is a product-provided, sponsored conversation. 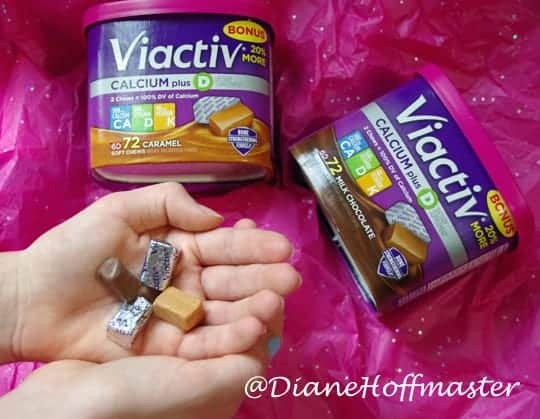 I received two canisters of Viactiv Calcium Soft Chews for my own personal use. All opinions, text and experiences are my own. 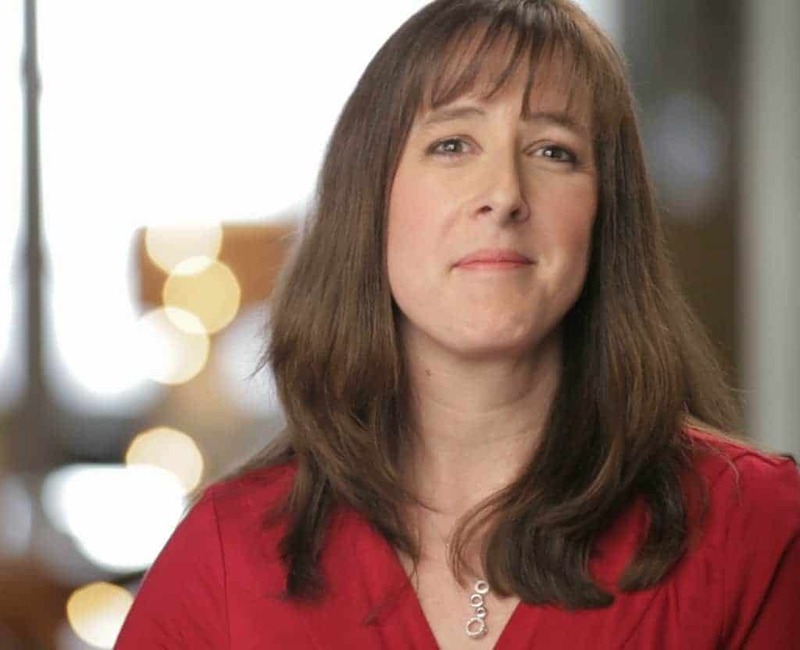 As the mother of a tween daughter, I have plenty of things to worry about. Is she doing well in school? How do I make sure we keep the lines of communication open? What’s the best way to keep those BOYS away from her? And of course, one of the biggest things I worry about…how do I make sure she stays healthy? I try hard to feed her well and include a wide variety of fresh foods in her diet but I know there are nutritional gaps here and there. Those nutritional gaps can have long reaching effects. Did you know that 86% of teen girls do not get enough calcium in their daily diets? With 95% of peak bone mass present by age 20, this is not a good time to not get enough calcium. One way to help fill in the gaps when it comes to calcium is to add in Viactiv Calcium Soft Chews. Viactiv Calcium Soft Chews are the #1 doctor recommended calcium supplement chew. Two of these chews provide 100% of the daily recommended amount of calcium plus vitamins D3 and K for most women. Eating healthy is extremely important but with our kids fast paced schedules, we can never be sure they are taking the time to eat a wide variety of foods every day. I know *I* don’t even manage to eat right every day so my daughter and I are taking calcium supplements TOGETHER. The best way to ensure a lifetime of good habits is to start young! Consume less caffeine: You would think this wouldn’t be an issue for tween girls, right? Well, you would be amazed at how many of my daughter’s friends drink coffee! And there is a ton of caffeine in soda, too. Limit how much caffeine your daughter drinks to ensure bone health. Make exercise a priority: Get your daughters moving with regular exercise. Walking, bike riding, hiking, or whatever sport she enjoys will go a long way towards ensuring bone health as an adult. Take a multivitamin: Calcium is vital to strong bones but other nutrients play a part too. Fill in all your nutritional gaps with a general multivitamin. 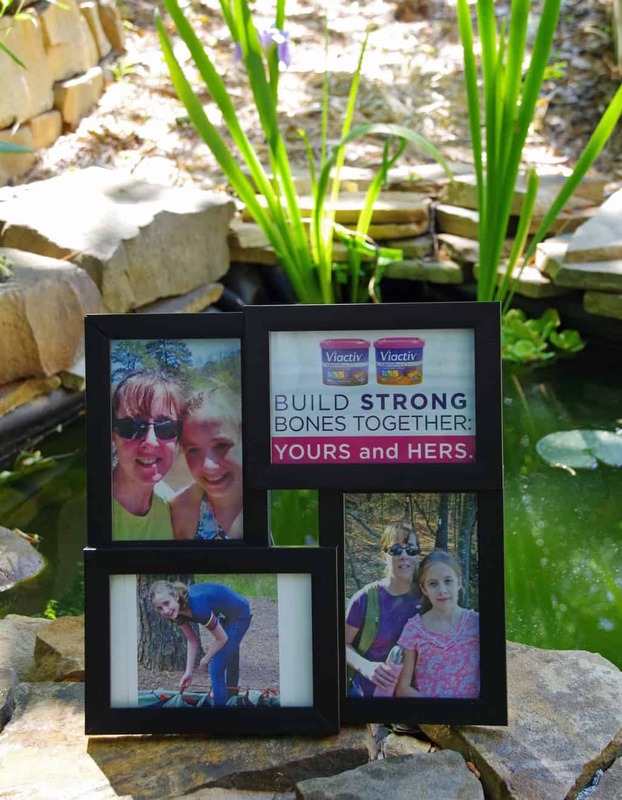 My daughter and I were happy to share the Viactiv Calcium Soft Chews this month. We have been taking these off and on for years and I know she likes them! They come as individually wrapped chews in both caramel and chocolate. These individually wrapped chews are easy to throw in your purse, gym bag, or desk drawer so you can take them whenever is convenient for you. Being chewy and delicious means that my kids take them happily with breakfast without one iota of complaining, which I really appreciate. Want an easy way to determine if you’re getting enough calcium? First know your calcium requirements by stage/age, because they vary. Head over to the Viactiv webpage for more details about how much calcium you and your child need. I honestly love doing things with my daughter. That includes things like pulling out a cookbook and making cookies together. Heading out into the woods and spending the weekend camping. Taking her up to the pool and just watching her splash around with her friends. I like to think that she will remember those moments for the rest of her life. So, it only makes sense that taking our vitamins together is a good way for her to (hopefully!) take these habits into adulthood! If you would like to purchase Viactiv Calcium Soft Chews for yourself you can find them at Walmart, Rite Aid, CVS, Target, Walgreens, and drugstore.com. This is really a great product and I'd probably be better at remembering to take it. So often hard pills hurt my stomach when digesting them so this would be another plus. I agree! I would much rather have a tasty chewable than a hard pill!